British artist Dion Salvador Lloyd was born in Brighton in 1967. His work has been exhibited widely across the UK and in 2011 had been selected for the Royal Academy “Summer Exhibition”, Discerning Eye, RWA in Bristol and ROI at the Mall Galleries, London. He currently lives and works in Brighton, UK as a full time practicing artist. 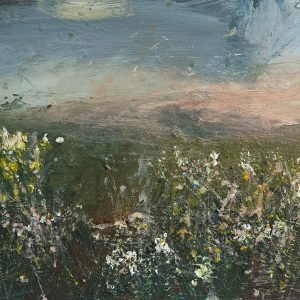 Dion Salvador Lloyd’s works are not pictures of places but rather the atmosphere and sense of place made physical; marks are not made to describe but to elicit and emote, to forge connection. The paintings are invitations to travel and dream, full of suggestions and familiarity, we have been here before. ... Lloyd’s studio is energized by its content. He surrounds himself with sensory inspiration, bleached animal skulls, found and collected objects, constant music, in an attempt to find the state of mind and the creative space within where his painting can flow. He is driven by intuition, each painting an unplanned journey, an exploration of horizon and the interplay between earth and sky but moreso a celebration of the physicality of paint and surface. 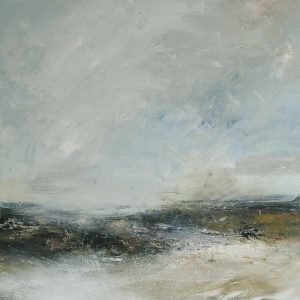 The surface of these oil paintings are untamed, highly worked and layered, difficult to look away from, magnetic in tone and colour and leading into mysterious yet beautiful microworlds and solid air. The animator Jan Svankmajer is inspired by the notion that objects conceal within themselves the events they have witnessed; Lloyds paintings apply this to place. These are spaces that have accumulated memories which they are communicating back to us, memory buried in painting. 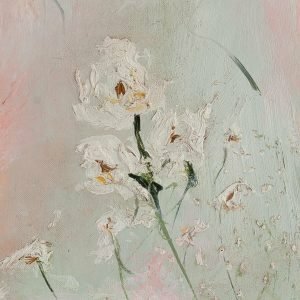 His palette is specific, the tones poetic of the past, ephemeral and permanent at the same time, the timeless landscape and the fleeting memory. They suggest the river that always flows, the sea that always crashes, the wind that blows, time that passes, a world turning, storms brewing. These are spaces where we have walked, layers of footprints, places where lives have been lived. They are universal not site-specific, encouraging us to consider the energies of the natural world rather than the appearance of a particular place. They are both paintings and containers, full to the brim, energized and charged by their vibrancy and animation; they move, breathe, whisper, sing. To see them is to feel them, they go in through the eyes but aim for the soul.